Games of this ilk are few and far between these days, but surely those who played games like Baldur’s Gate 2 have fond memories of doing so. Actually, this RPG by Bioware set new standards back in 2000 due to its deep story, fascinating characters (who can forget the crazy warrior Minsc and his hamster) and great combat and ruthless enemies to deal with including one-eyed beholders, dragons, vampires and others. It sure made great use of the Dungeons & Dragons license. Baldur’s Gate 2 sure is a bona fide classic (and one of the hardest games made to date too), but strangely enough, Bioware’s masterpiece had not seen a console release to date. 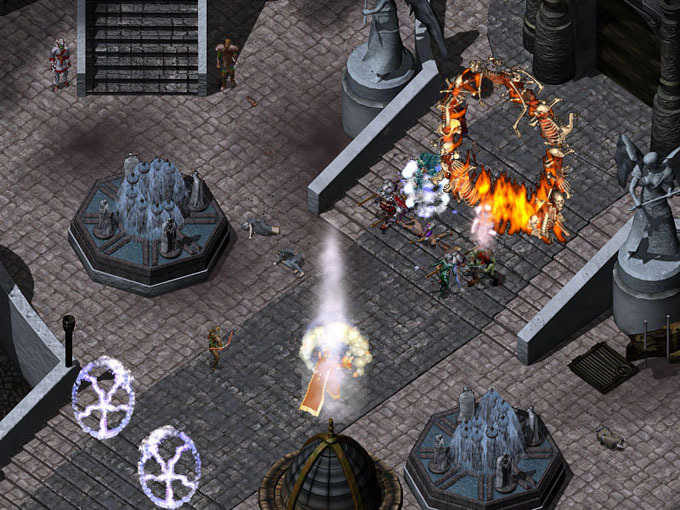 Thankfully, this will change this year as Skybound Games and Beamdog have signed a publishing deal, and will be bringing Baldur’s Gate 2 and other role-playing classics to console in 2019. These other games include the likes of Planescape Torment, a 1999 role-player set in the Planescape universe instead of the more popular Forgotten Realms setting of Baldur’s Gate and its ilk, and a game known for its fantastic story and characters and which has become a cult classic. There’s also Neverwinter Knights, a 3D RPG by Bioware which although highly hyped at the time failed to cause much of a stir, but nonetheless is still a solid game and definitely worth playing. Aside from these, Skybound and Beamdog will also be bringing the original Baldur’s Gate and other role-playing games like Icewind Dale to console this year too. Game company Beamdog is no stranger to role-playing games, as it has put out enhanced editions of the Baldur’s Gate games and other RPG classics over the years, while Skybound Games has released a slew of games including The Walking Dead: The Final Season and others. “We’re excited to bring Beamdog’s incredible slate to new platforms for both the dedicated fan and those who will soon discover these adventures for the first time. As longtime fans of Baldur’s Gate and Dungeons & Dragons it’s fantastic to partner with Beamdog as the newest member of the Skybound family”, said Ian Howe, who’s CEO of Skybound Games. And this will certainly be good news for console owners yet to play Baldur’s Gate 2 and the other RPG classics from the 90’s and early 2000s, so stay tuned to this website for more news about the console edition of Baldur’s Gate 2 and others in the weeks to come.